With the exodus of a large number of men in the community, the role of women changed. Work on nearby farms still had to be done, especially to support the war effort of producing food for export to Europe. 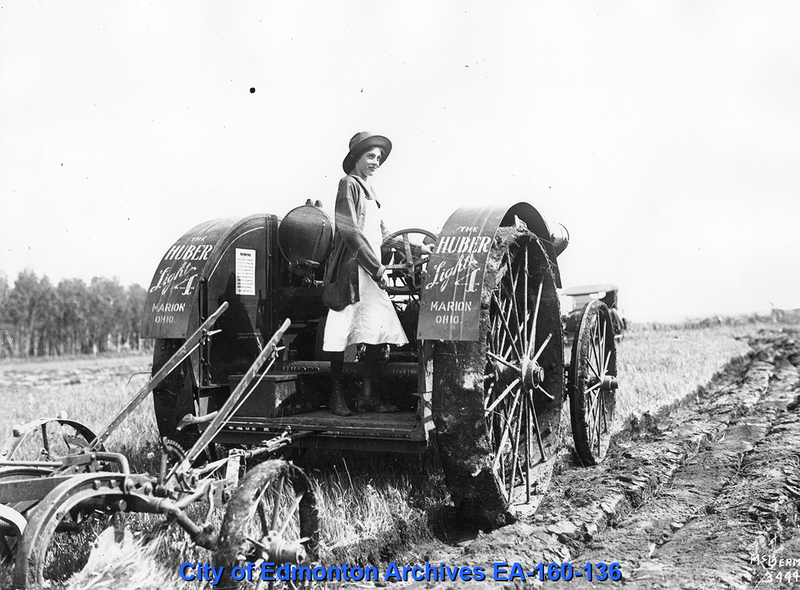 Young women and teenagers were sent out of the cities to help with farm chores and especially the harvests. 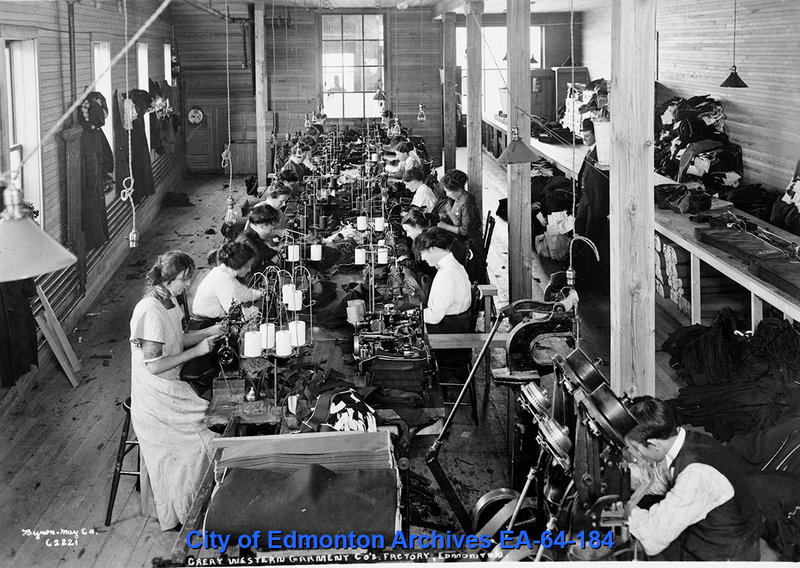 Work in factories also was accomplished by women who stepped up to both feed their families and to ensure that wartime contracts for everything from uniforms to munitions could be fulfilled. For middle and upper class women who did not need work to survive, the charitable work of various women’s organizations provided clothing and other necessary goods to soldiers, their dependents at home and civilian victims of war. The Red Cross recruited women to make bandages, knit socks and mittens, and pack emergency kits and care packages for the men in the trenches and the military hospitals. Other women’s clubs offered entertainment to the recruits waiting for deployment and to returned soldiers on leave or mustered out. Volunteers also served in hospitals, convalescent homes, canteens and recruitment centres both in Canada and in Europe. 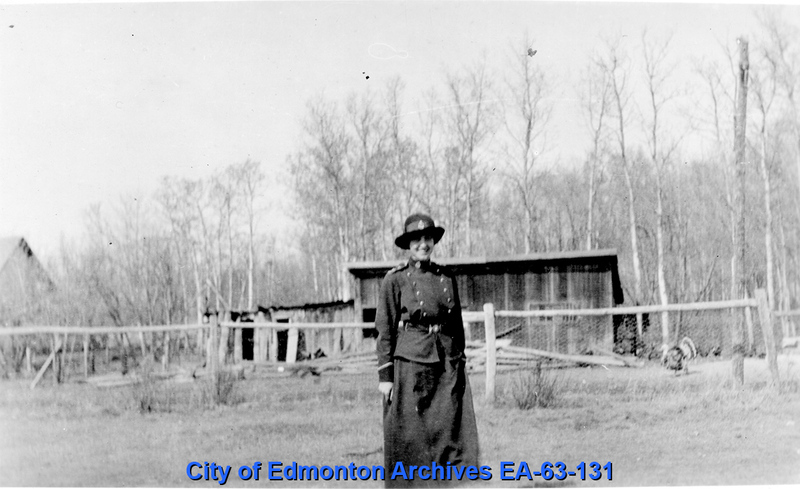 This increasing role of women in the public sphere was a factor in Alberta granting suffrage to some females in 1916. Nursing Sisters (serving overseas or in government hospitals) were the first to be enfranchised. 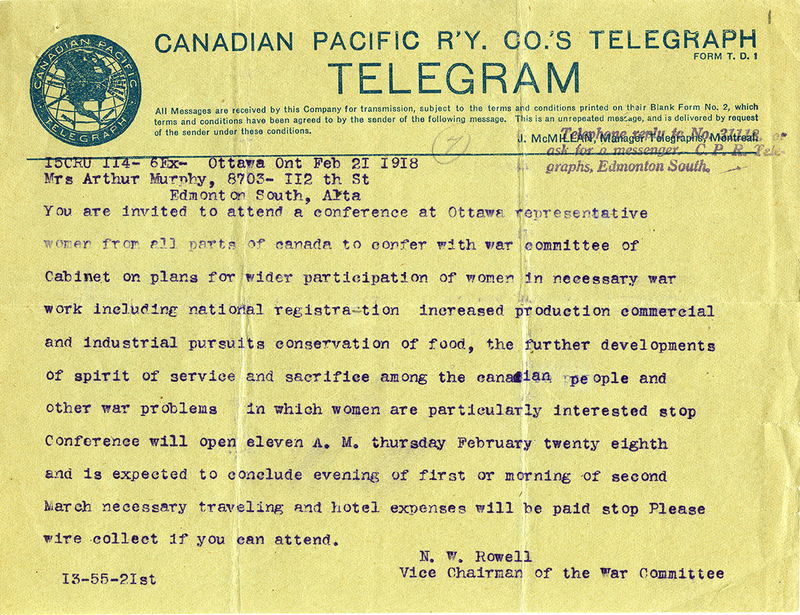 Next, the close relatives (mothers, sisters) of serving members of the Canadian Expeditionary Forces were granted the vote. It was expected that they supported the war effort – and therefore the Government which was directing it.